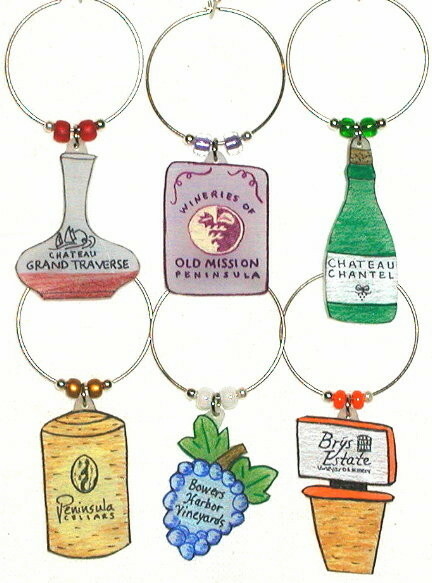 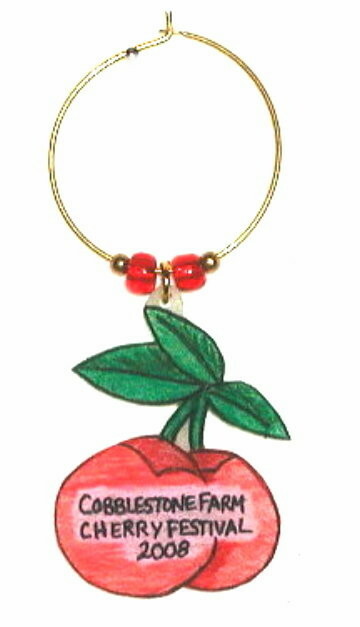 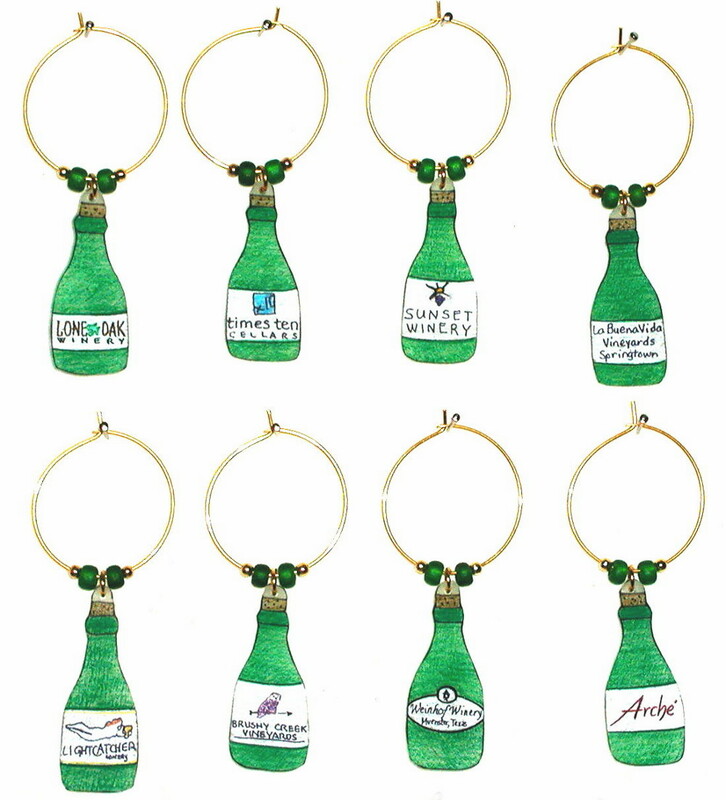 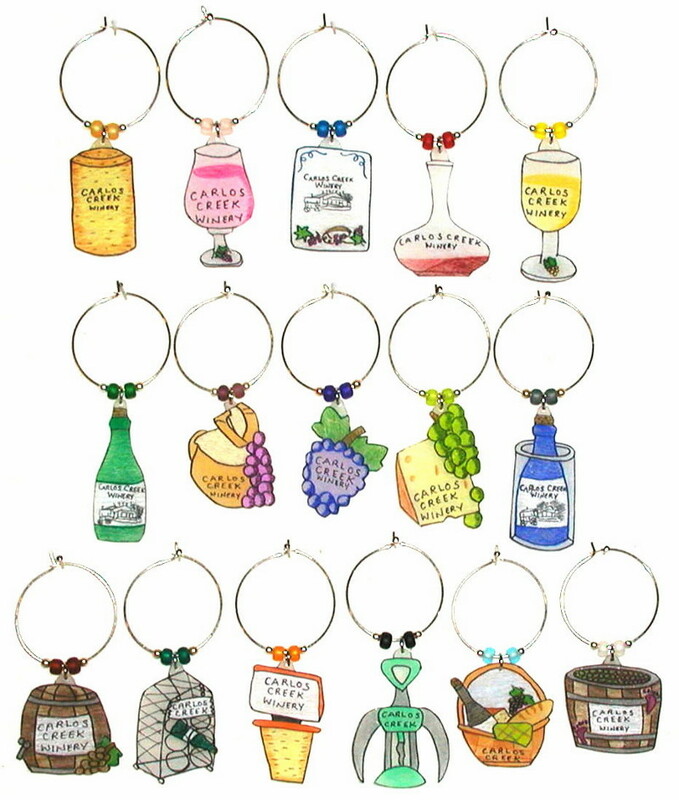 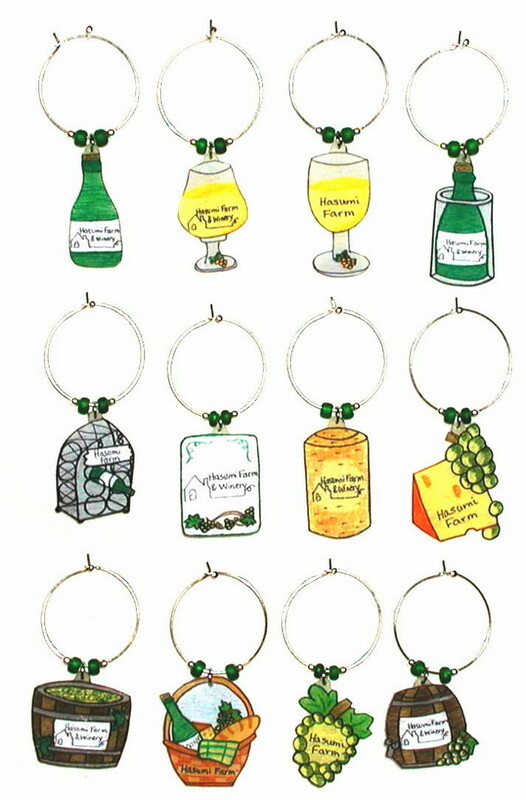 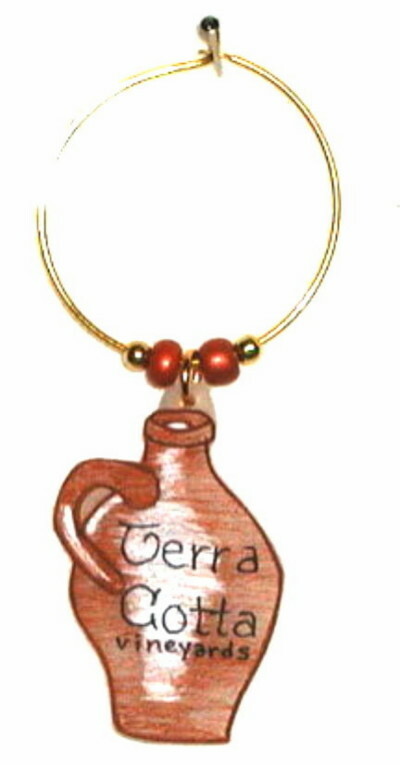 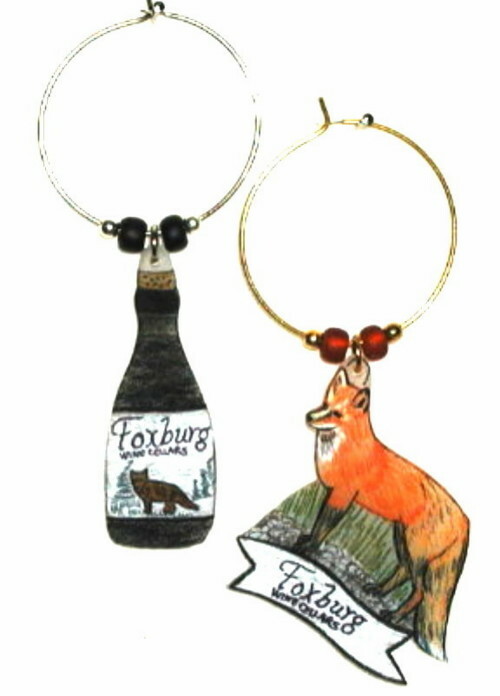 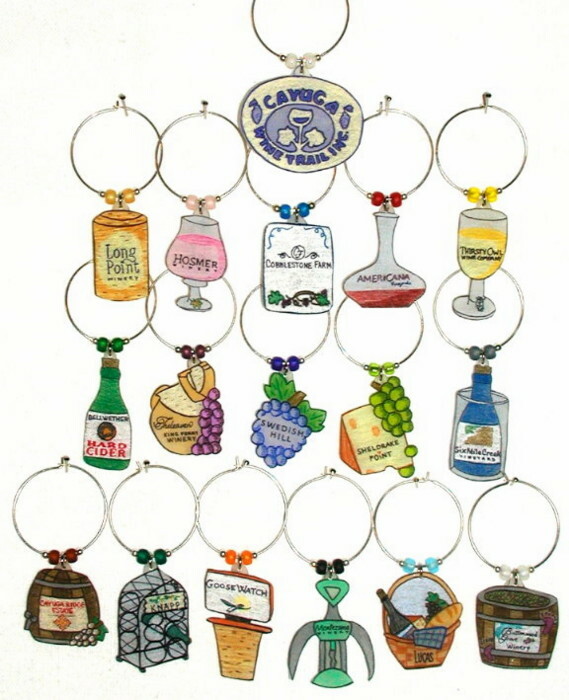 Wineries may order personalized charms with your logo or winery name on each charm. 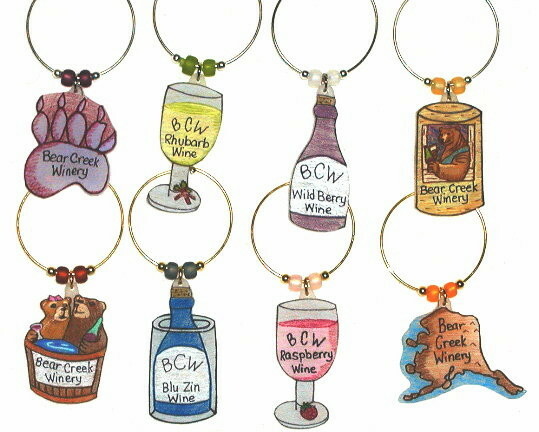 Order as individual charms or in sets of 2, 4 ,6 or however many you want! 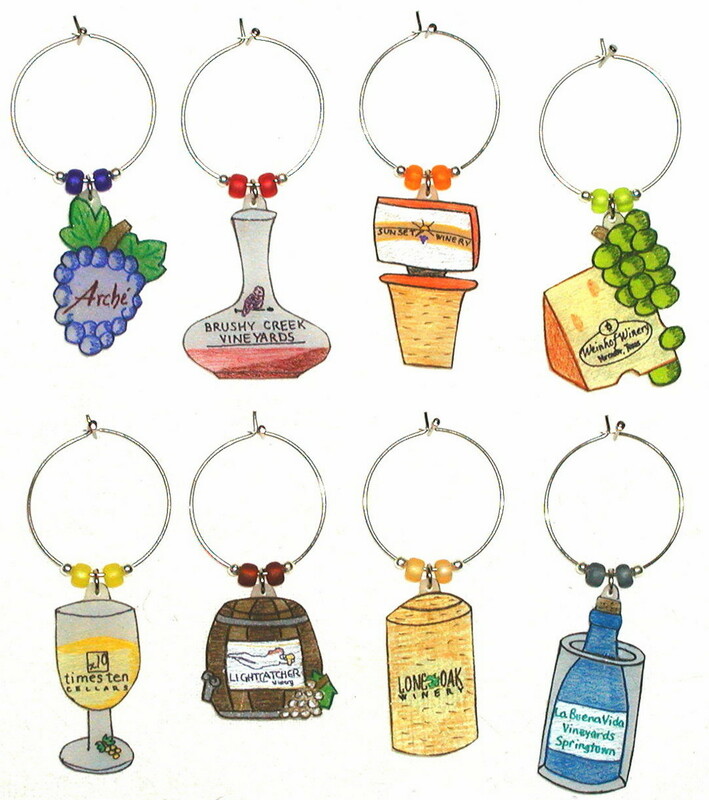 Choose from any of our 16 wine theme designs - or create your own charm. 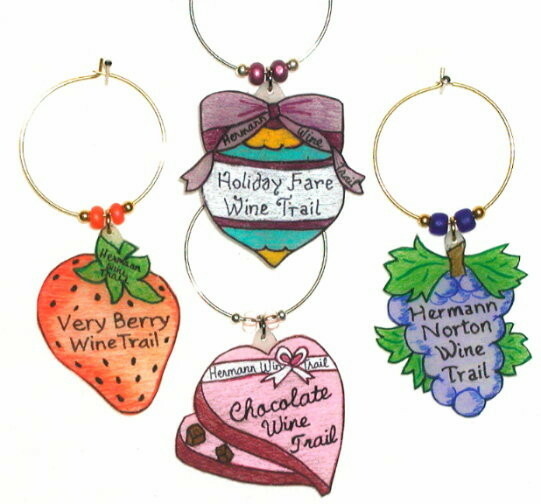 These are great for wine trails - get with the other wineries in your area and get a quantity discount. 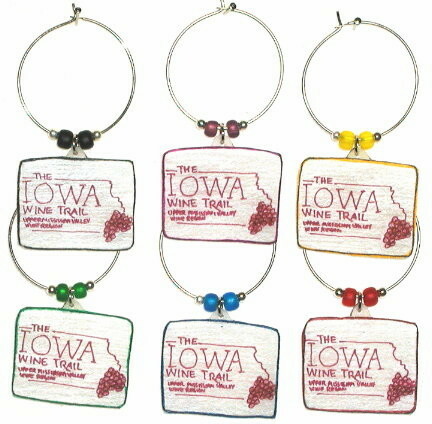 Contact karen at 618*257*1365 or karen@karensglabels.com for wholesale pricing. 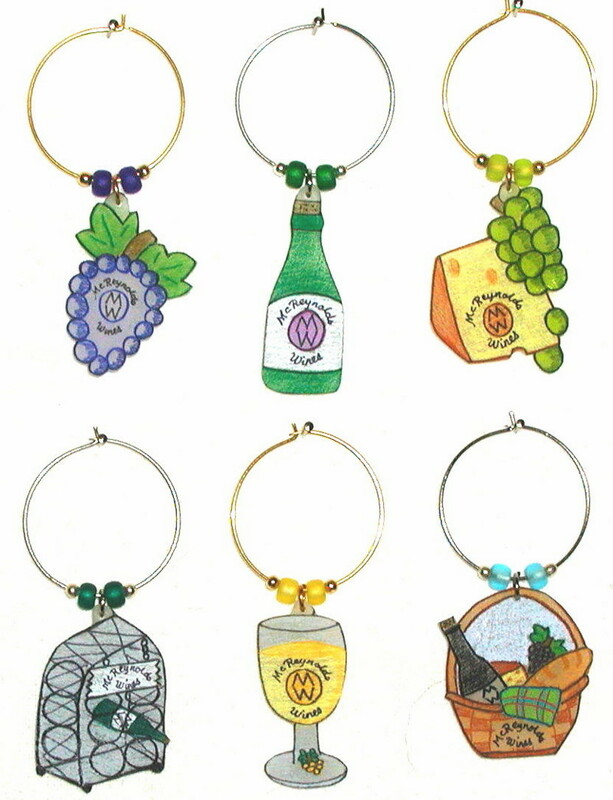 Charms with winery logos can only be bought by the wineries they belong to. 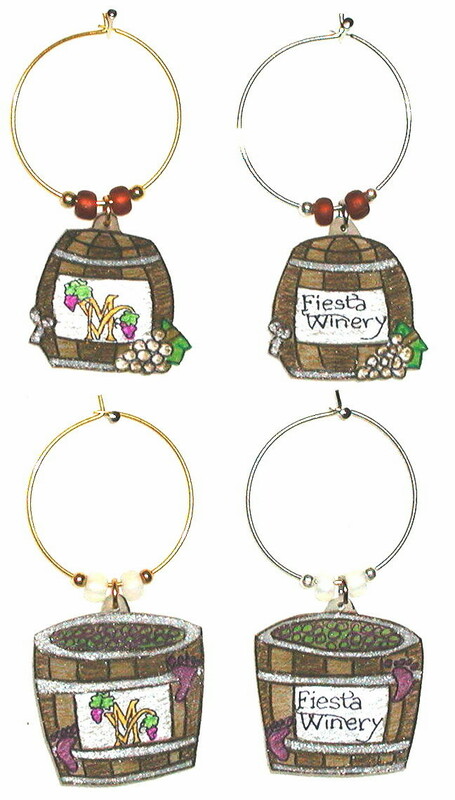 email me to place an order. 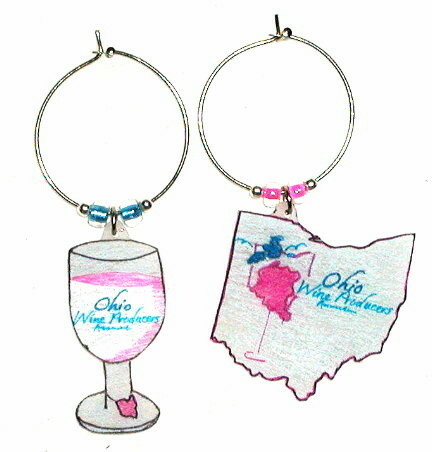 sizes - 1 3/8" - 1 1/4"
bookmark itself is 3 1/2"
Send email to Angie with questions, problems, or comments about this web site.